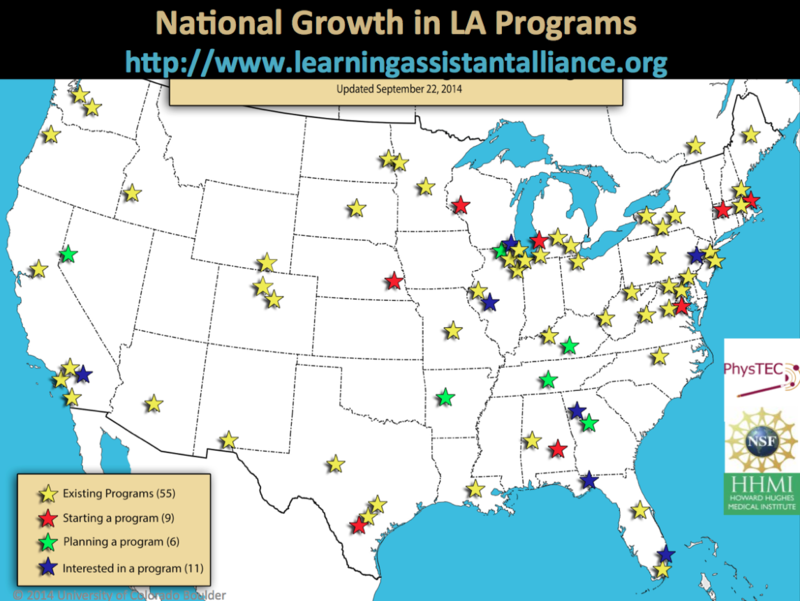 A map showing the pipeline of LA programs at various institutions. According to the Boston University LA Program, “A Learning Assistant (LA) is a high-performing undergraduate student who is hired to help with teaching a course they have successfully completed. As opposed to other undergraduate programs, learning assistants help in transforming the class to focus on active and collaborative learning.” The LA model primarily focuses on STEM disciplines, but has potential to be adapted to support student learning and engagement in an interdisciplinary context in the arts, humanities, social sciences, and STEM fields – which is exactly what we hope to do at Dartmouth. Tell us what you think! How can we design a Learning Assistant (LA) program at Dartmouth to best support our students, faculty, and departments? What would an optimal Dartmouth LA program look like? Share your thoughts to our social media or comment below!